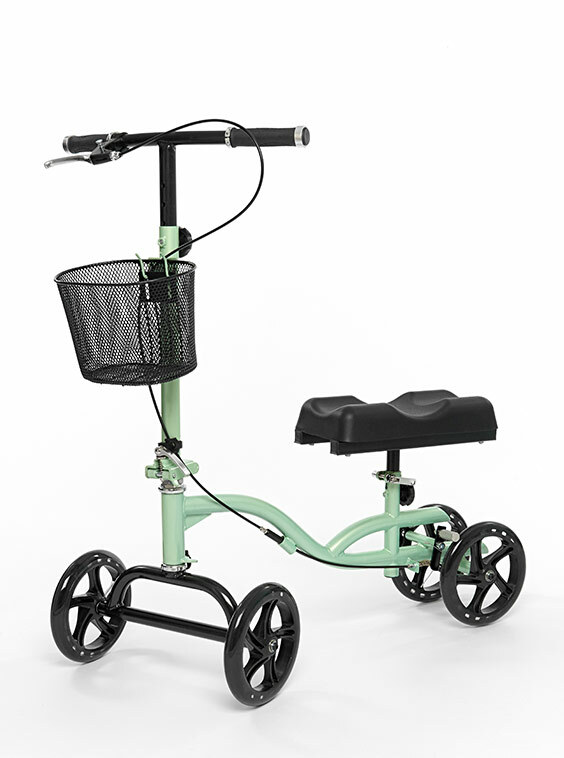 The Knee Walker is designed for increased mobility and optimum comfort. 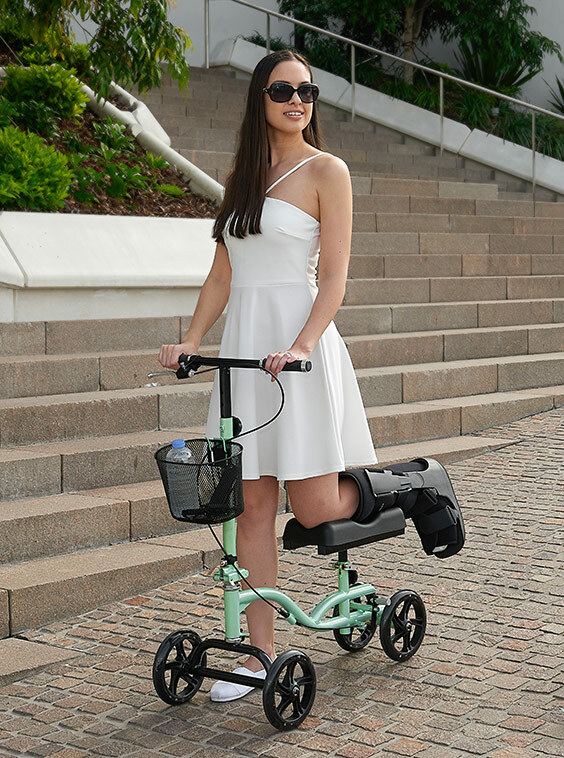 It is suitable for most ages and is both left and right leg compatible. 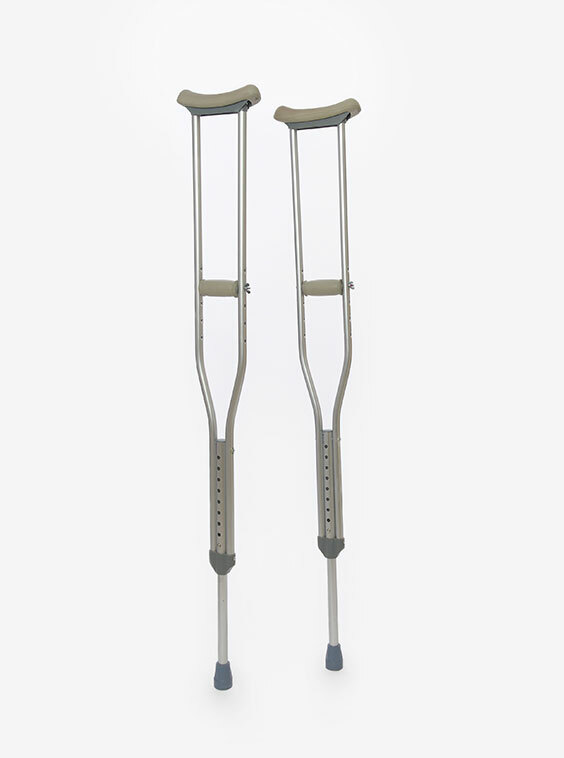 These crutches feature durable pivoting arm cuffs with a maximum diameter of 3-1/2”. Handle to cuff is 9.75”. Contoured hand grips improve user comfort. Weight capacity 300 lbs. Latex free. 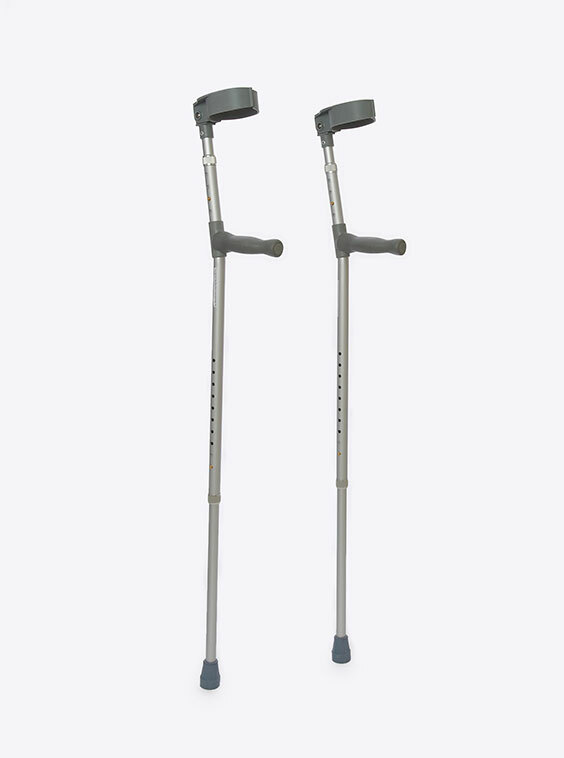 Aluminium Crutches packaged in pairs complete with tips, grips, and pads.